René Caovilla's sandals have been made at the label's Italian atelier, where artisans adhere to traditional techniques that have been used for decades. 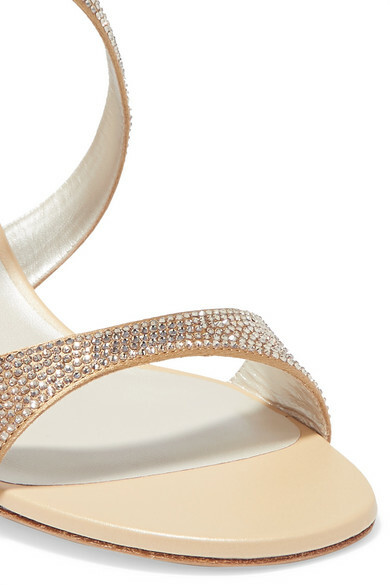 This metallic pair is constructed from supple gold leather and adorned with twinkling crystals. The heels are open so prep your feet with a softening kit first. Shown here with: Brock Collection Blouse, Joseph Jeans, BY FAR Shoulder bag, Chan Luu Earrings.